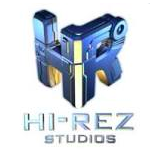 Hi-Rez Studios has revealed the teams participating in its restructured SMITE and Paladins professional leagues. Participating organizations include Natus Vincere, Virtus.pro, SK Gaming, Dignitas, Splyce, and more. Each team in the Paladins Premier League will be a long-term franchise partner. Developer Hi-Rez Studios has announced the teams for its revamped SMITE and Paladins professional leagues. Last year, the studio announced it was eliminating its regional leagues for both games, moving each game to a single multi-region league organized by its esports subsidiary Skillshot Media.